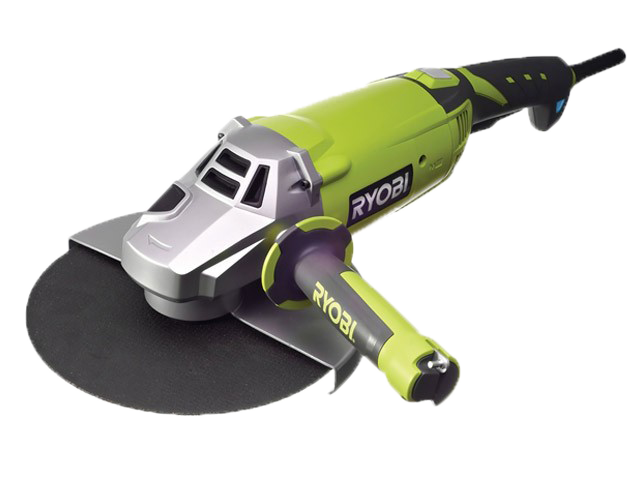 The Ryobi EAG 2000RS 230mm Angle Grinder has a tool-less wheel guard for quick and easy adjustment and a 2 position handle for left or right handed operations and a 180 degree multi directional rotating back handle for improved comfort and control.The spindle lock allows for easy wheel and the soft start mechanism is for increased safety. The Ryobi Livetool Indicator™ glows blue when plugged into the power supply. GripZone over-mould technology for improved comfort with a positive grip.